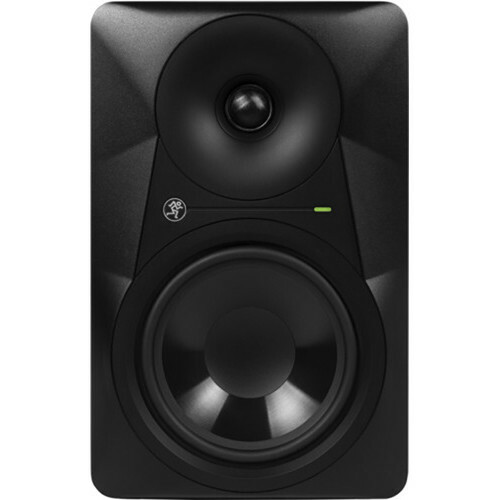 If you’re a music producer, you’re going to need studio monitors. Normal speakers don’t reproduce the sound coming from the DAW as clearly and may have areas of the frequency spectrum that are too loud or too quiet. 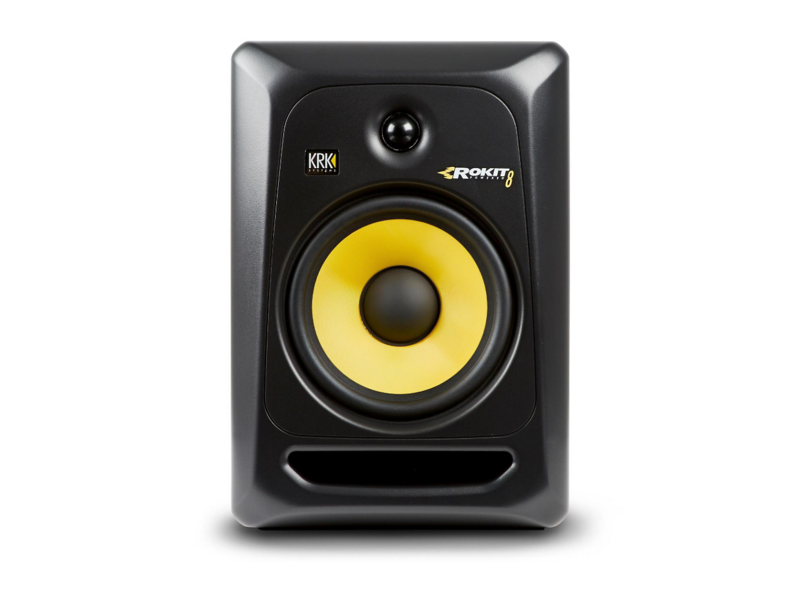 Studio monitors are meant to give a ‘flat’ response (reproducing the whole spectrum at an even level) so the every frequency can be heard at the proper volume. This flat response will help in sound design, mixing, and mastering. Inside the studio monitors, you’ll find power amps that deliver sound to the speakers. 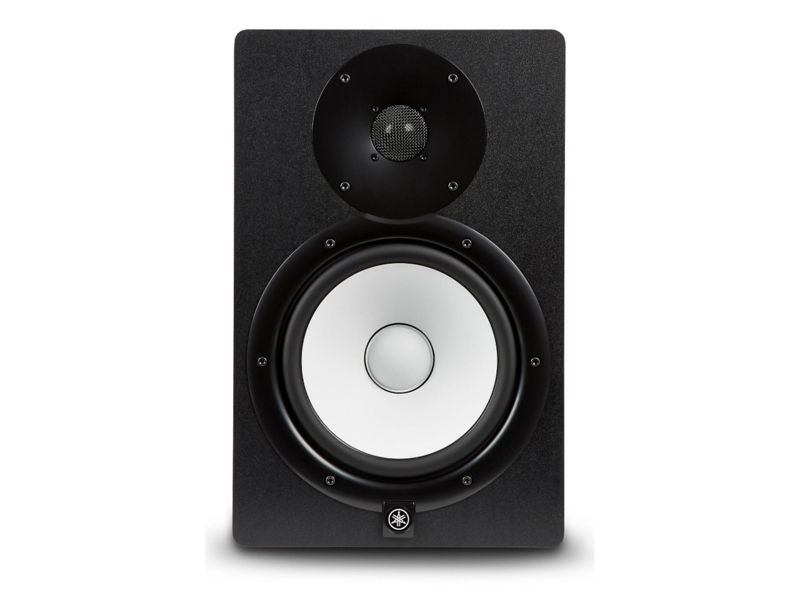 Studio monitors are usually bi-amped, but they can be single- or tri-amped as well. The amount of power delivered to the speaker will affect how well the speaker can reproduce the sound, especially the transients. If you’re mixing loudly on low-powered speakers, the transient may peak above the limit of the speakers and the detail of the transient will be lost. 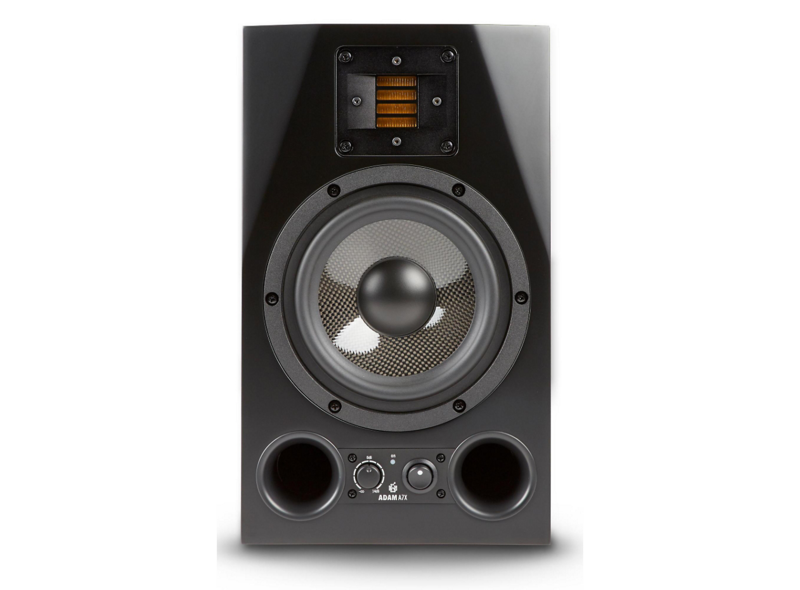 When you’re looking at bi- or tri-amped studio monitors, you want both of the power ratings to be as high as possible so both the highs and lows will property reproduced. If you’re hooking your monitors up to an audio interface, your connection options are usually going to be either XLR or TRS (¼”), which are on every pair of monitors. If you’re going to be connecting to a device using RCA, you will need to look for a pair of monitors that offer that connection. The port is the hole in the speaker that lets air freely travel in and out of the enclosure. The air movement gives the bass some extra volume, allows the speaker to reach lower frequencies, and reduces distortion of the low end. The direction of the port can have an impact on the sound depending on the location of the monitors. Rear-ported speakers should never be placed near a wall, because the sound air won’t be able to move as freely between the inside and outside of the speaker. Monitors (regardless of front or rear port) shouldn’t be placed near walls or corners anyway, because the sound will reflect off the walls and change how you hear them. 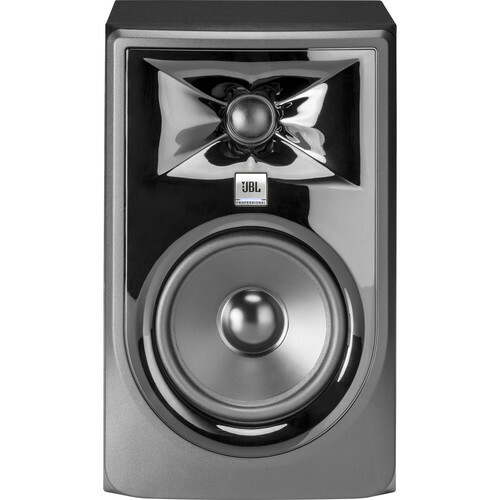 I think most people are pleasantly surprised with the quality of the Mackie studio monitors. They’re well known for their great studio mixers and PA speakers, but they’re still not on most people's radar when it comes to monitors. 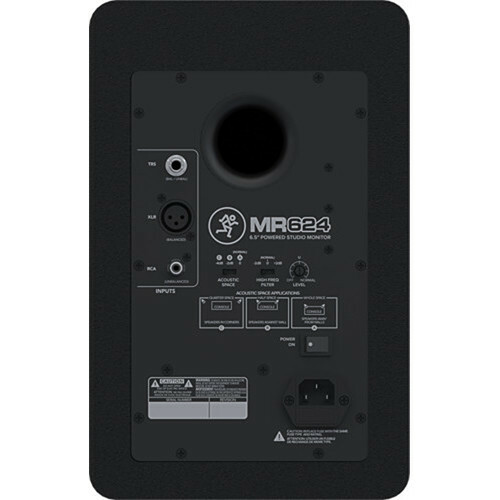 The Mackie MR624 isn’t the most powerful monitor in the low-level category, but the response is world-class. 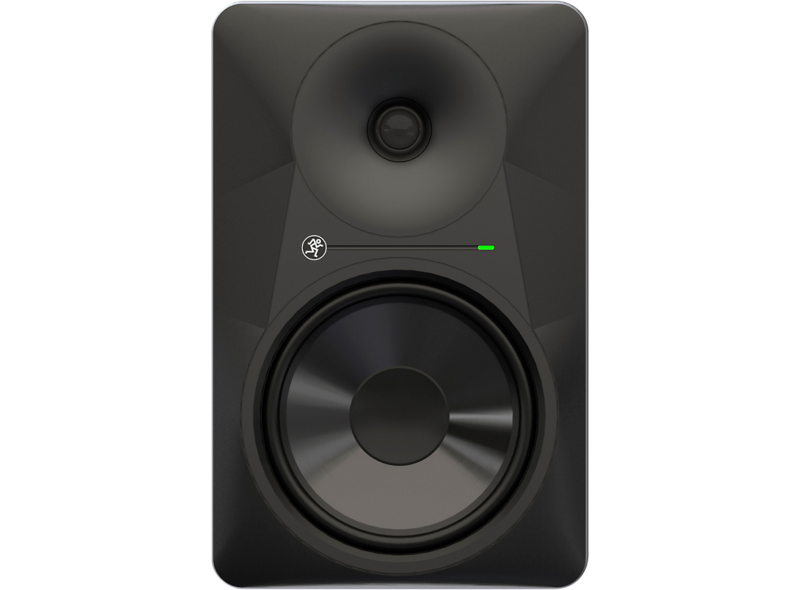 Read the full Mackie MR624 review here! 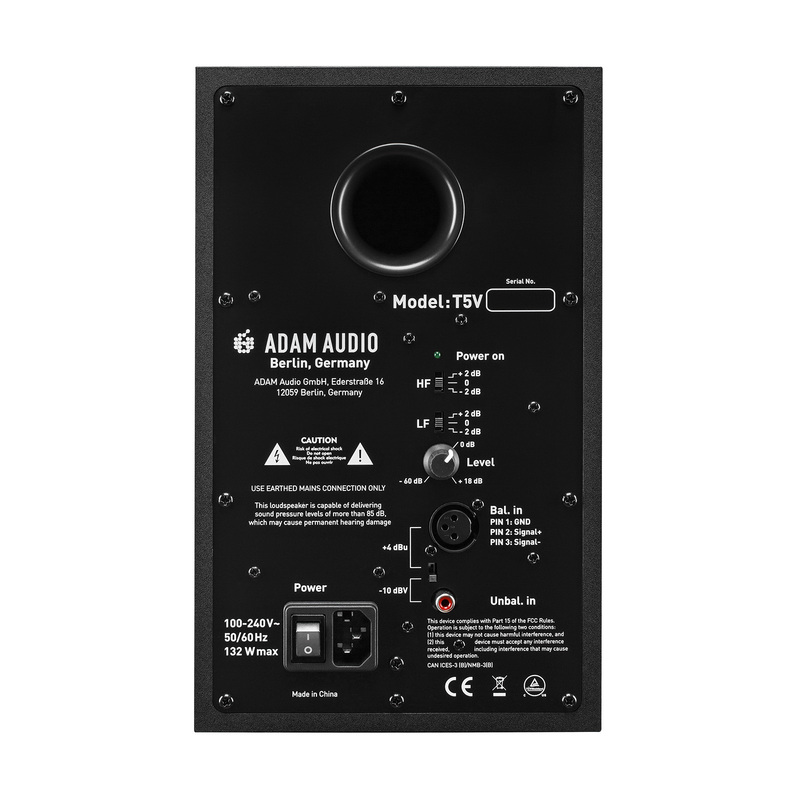 Read the full ADAM Audio T5V review here! 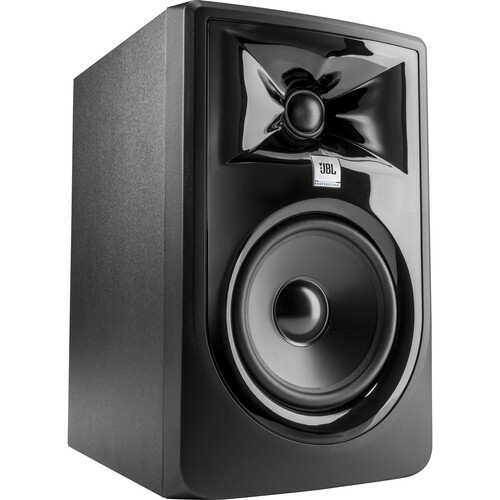 People might be quick to judge the JBL 305P MkII, because the monitors don't look great. The glossy finish gives them a slightly cheap and outdated look, but the sound that comes out of them tells a different story. 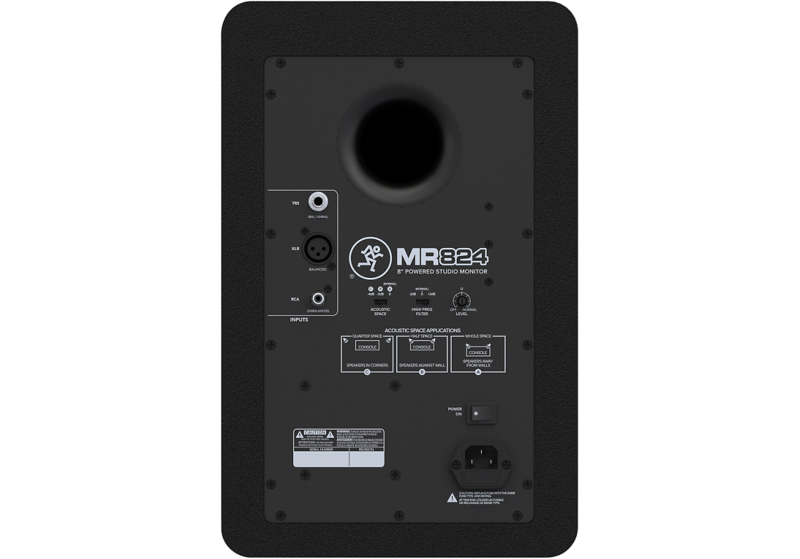 The MkII series features a new enclosure material, which is an upgrade over the previous model that had a plastic enclosure. The new enclosure reduces resonance and improves response. The most surprising piece of these monitors has to be the power. What's interesting about these monitors is that JBL opted to use the same amp power for both the HF and LF driver amps. The highs might seem a little too powerful at times, but the volume can be turned down using the level controls on the back. The extra power in the highs makes the transient response fantastic for this price range. 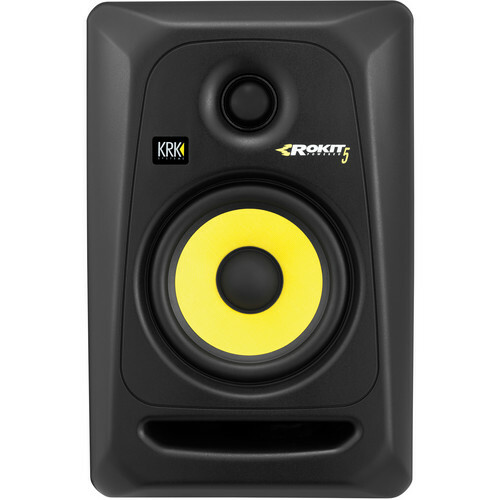 The KRK ROKIT 5 G3 has been one of the most popular monitors for almost 10 years now. The third generation is a great improvement over the versions. The ROKIT 5 is good for music producing, but if you're looking for a set of monitors to do some casual listening or DJing on, then the ROKIT series is great. The bass is digitally boosted and gives a pleasurable listening experience. 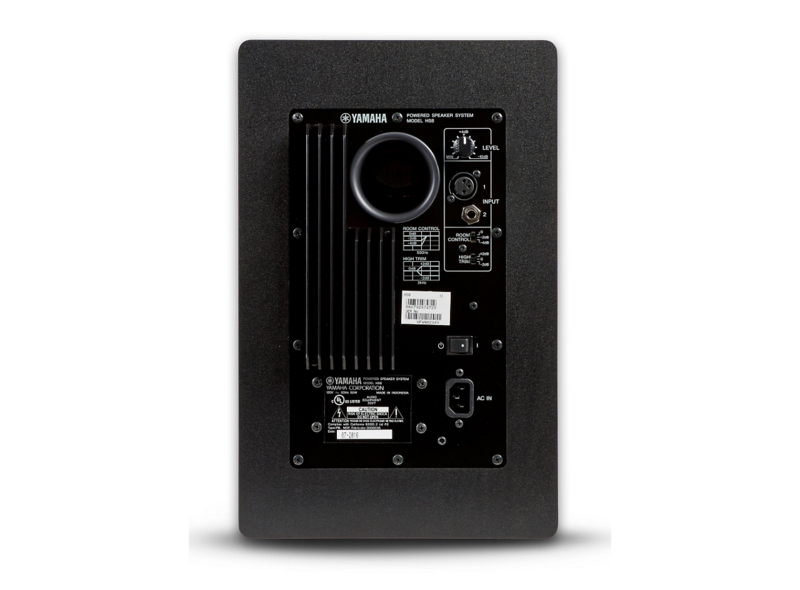 The Yamaha HS8 is one of the most powerful and balanced mid-level monitors weighing in at 120 W total (75 W LF and 45 W HF). 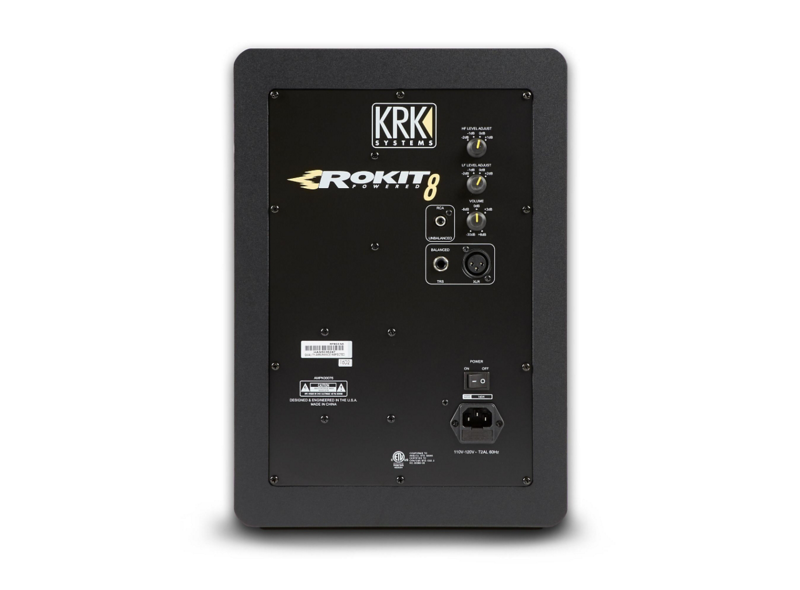 For comparison, their close competitor KRK ROKIT 8 is 100 W, making the HS8 much more powerful than the competition. Read the full Yamaha HS8 review here! The Mackie MR series isn’t just for beginners. The 8” model packs a bigger punch than the smaller MR624, but the value is just as good. If you can’t afford the HS8, then check out the MR824. The sound can be a bit ‘boomy’ at times. The ROKITs modify the signal to increase the low end of the sound that you’re hearing. That makes them great for casual listening, but for reference monitors, it can make the sound difficult to work with. 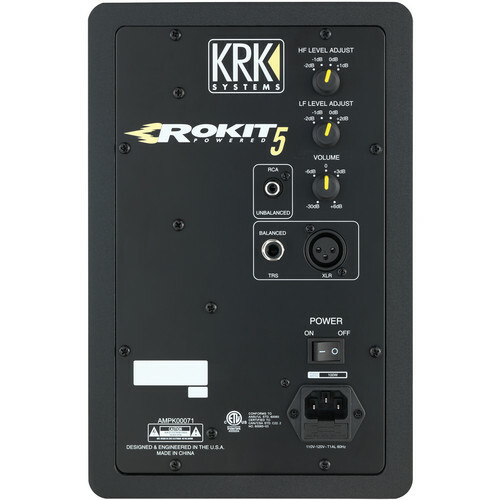 Read the full KRK ROKIT 8 review here! 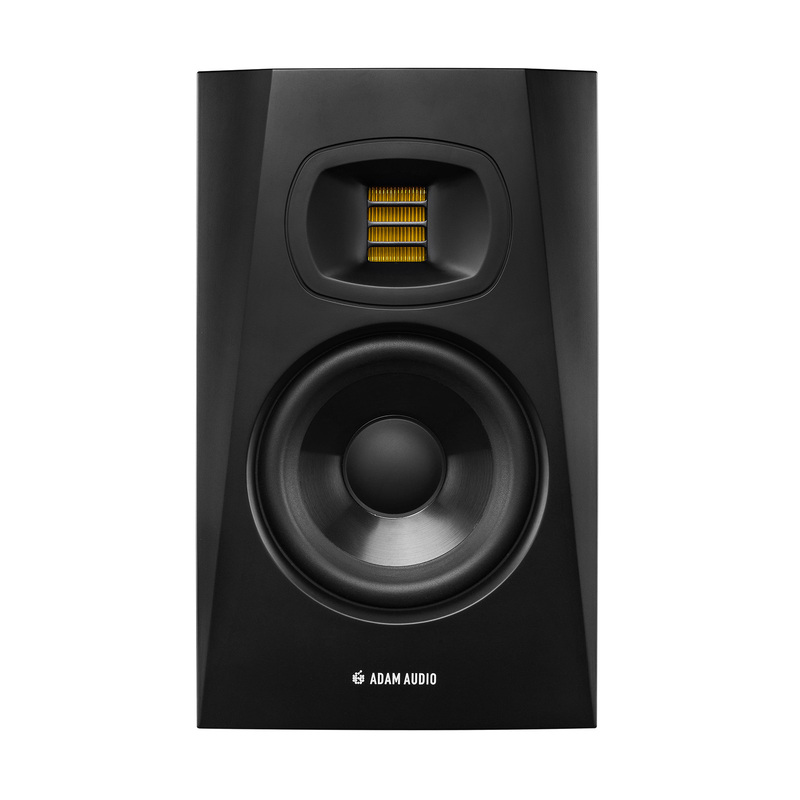 The one word that you're going to see over and over used to describe any ADAM Audio studio monitor is "pleasurable". The X-ART ribbon tweeter produces the cleaner high end than any dome tweeter on the market. The X-ART tweeter also reduces the amount of ear fatigue, which can allow the user to continue working longer without feeling as tired. One of my favorite small features of the A7X is the front power button. You might have noticed that this is the first and only monitor on the list that actually has a front power button. I personally find it annoying to reach around my monitors or walk around my workstation desk every time I want to turn them on. 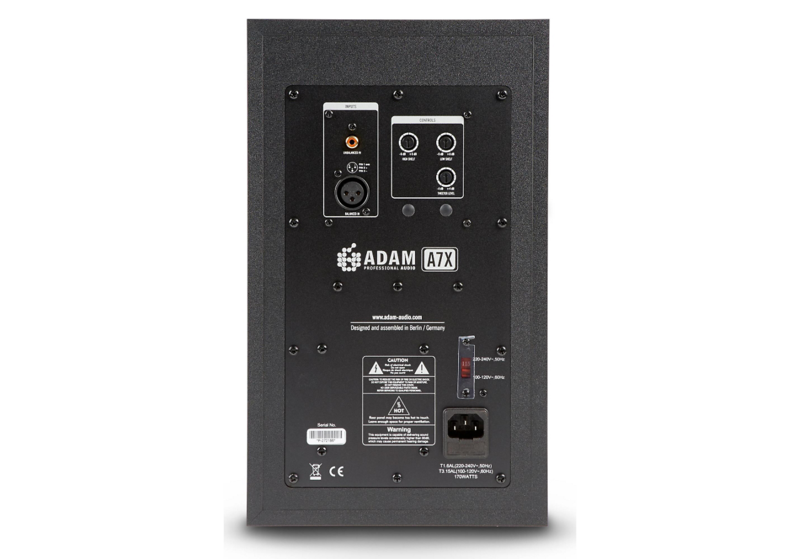 Read the full ADAM Audio A7X review here!